Congratulations to Jacie and Steve! Jacklyn and Nils are married! 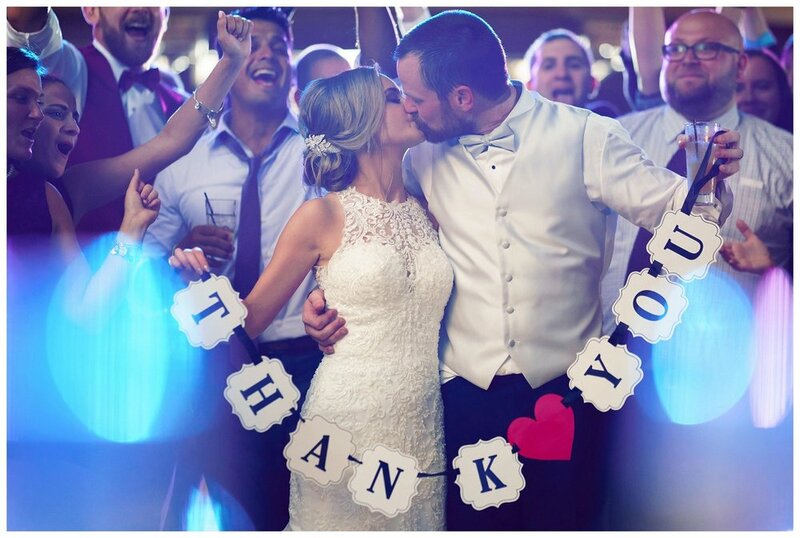 Congratulations to Lindsey & Bryan! Wedding Bells for Brittany and Mike! 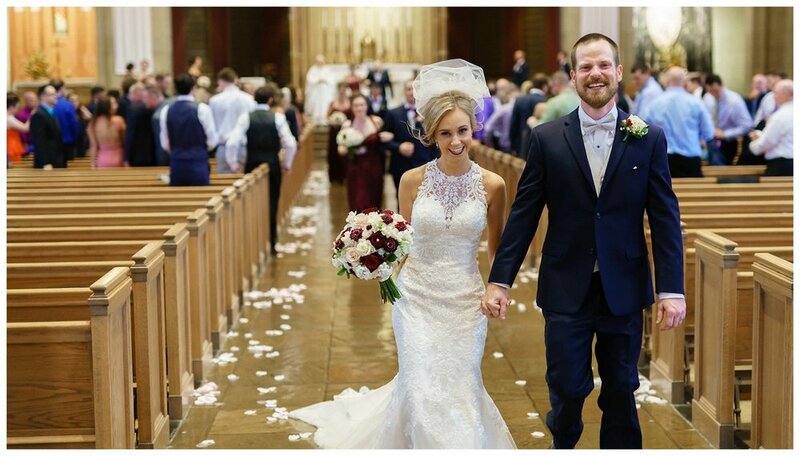 Alyssa and Mike tied the knot! 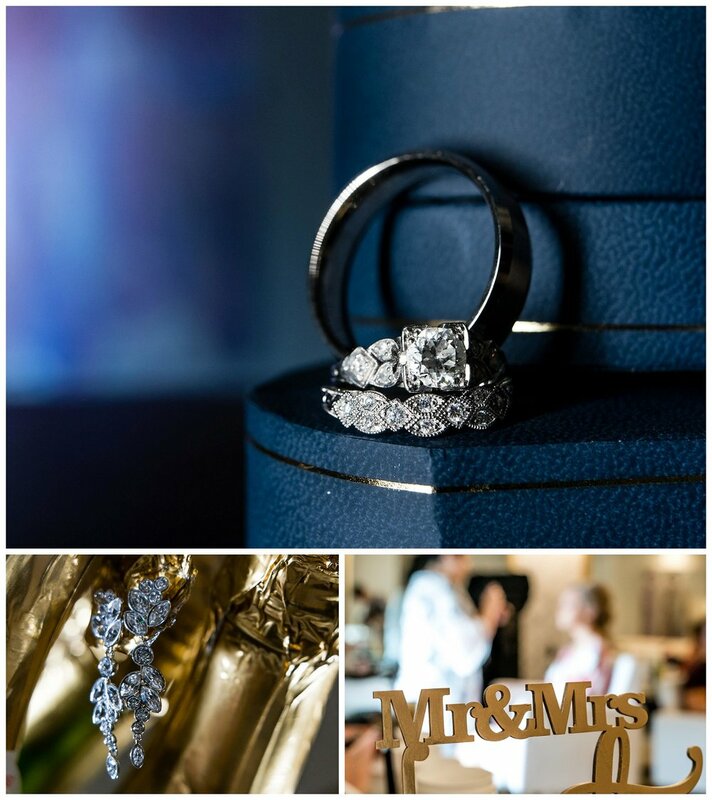 Congratulations to Jacie and Steve, who began the rest of their life together this July! Their wedding was absolutely incredible, and such a great reminder that Adam and I really do have the best jobs in the world; as wedding photographers we have the honor and privilege of making an enormous impact on one of the most important days in a couple’s life, and they way they’ll remember it for decades to come. We get to make beautiful things for people in love, and for the friends and the families that love them. Its truly so awesome that we get to make art in such a meaningful way for people, and not a day goes by that I’m not thankful to have this weird and wonderful career. 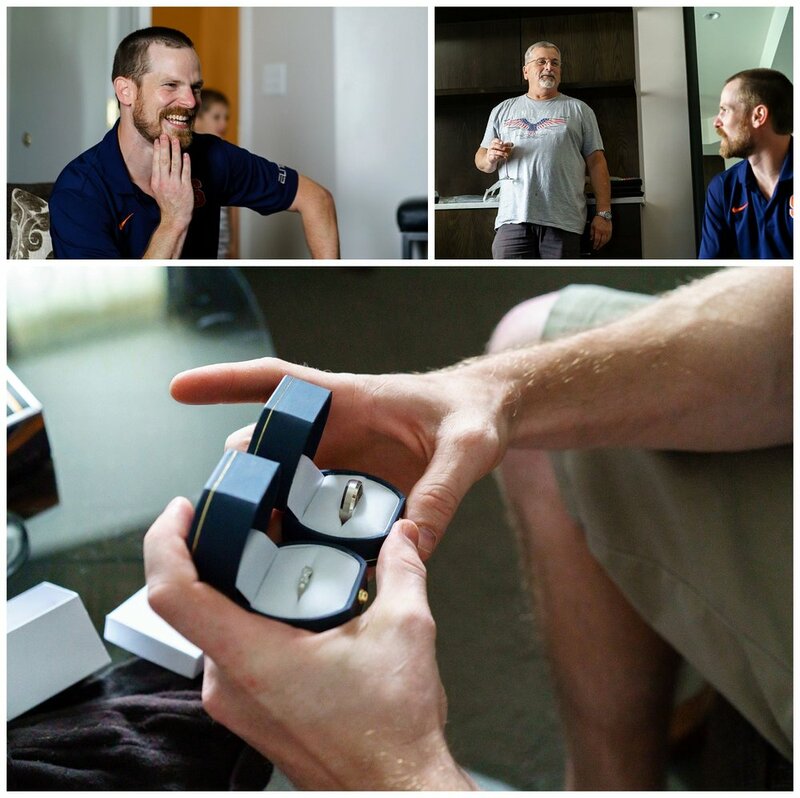 Along with that we also get to make friends with people in love, and Jacie and Steve are amazing! Their love for each other was evident as the day unfolded, and I’m sure that love will carry them through the rest of their lives, into ripe old age and beyond. 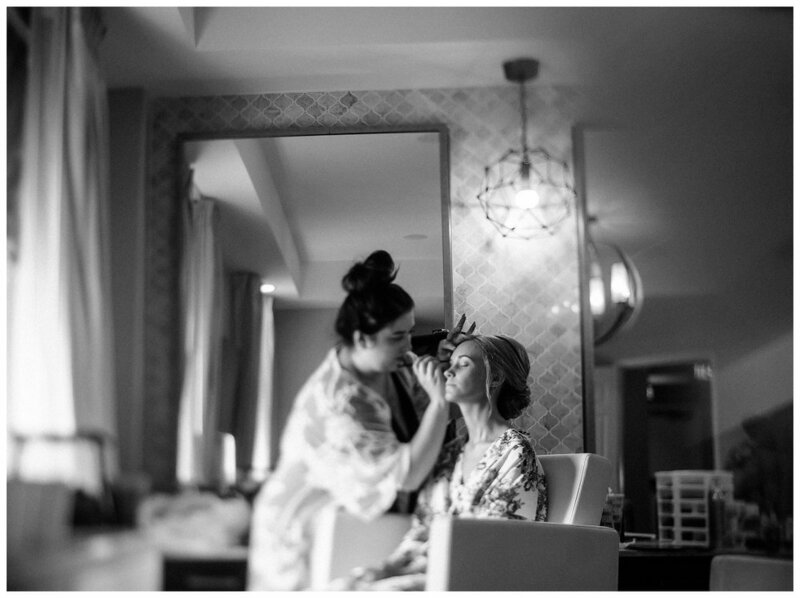 The day began at the Bridal Rotunda and Groom Suite of the Hotel Syracuse, and the air was thick with hairspray and delightful anticipation as the couple and their party readied themselves for the big day. 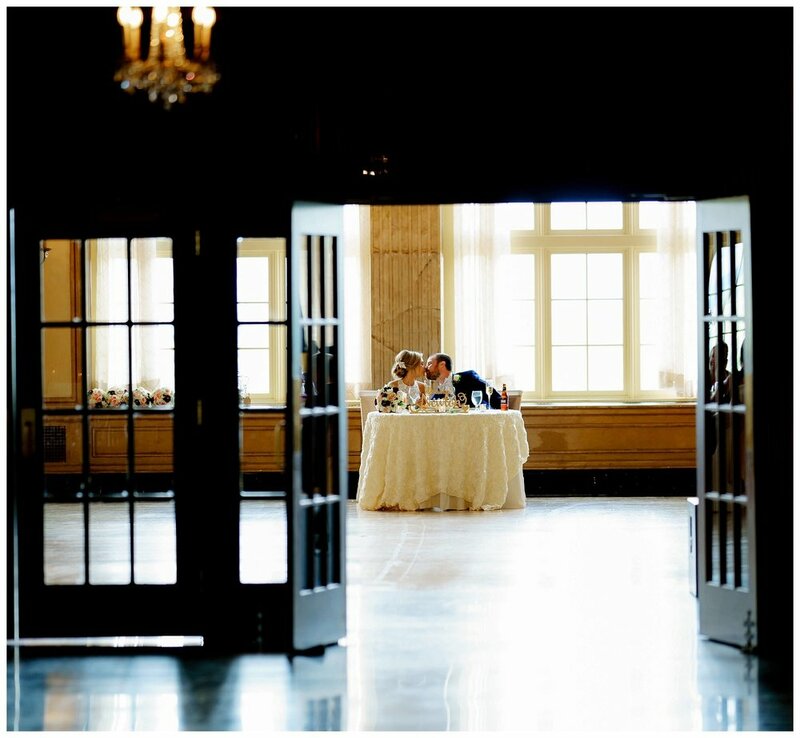 If you’ve never been to the bridal prep area at the Hotel Syracuse, the Rotunda and Suite are both attached to the same antechamber, so the newly-weds-to-be were separated by only a few thick walls, and the morning was spent giddy as friends and family members peaked around doors to make sure the lovebirds didn’t cross paths before the ceremony. The ladies sipped mimosas while Steve and his groomsmen raised a glass of Pliny the Elder, and of course engaged in the traditional confusion regarding pocket squares. 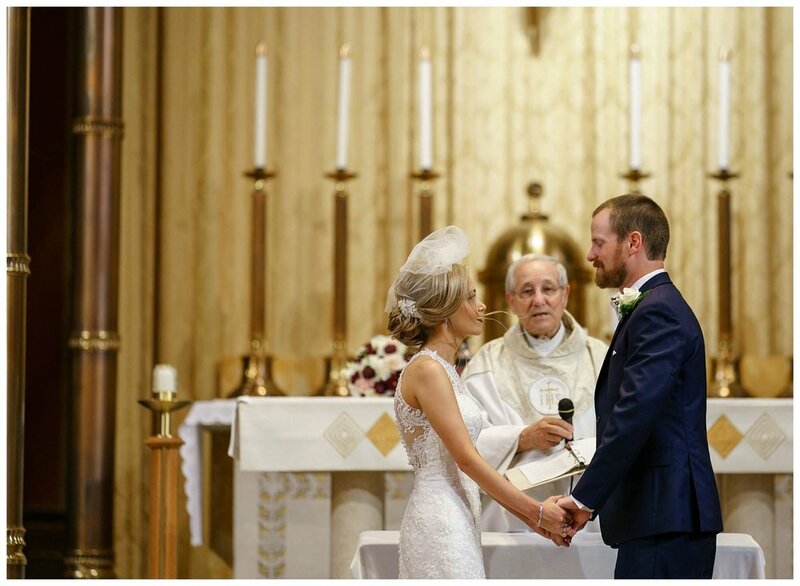 The ceremony was held at Most Holy Rosary Church, and officiated by Father Fred Mannara. 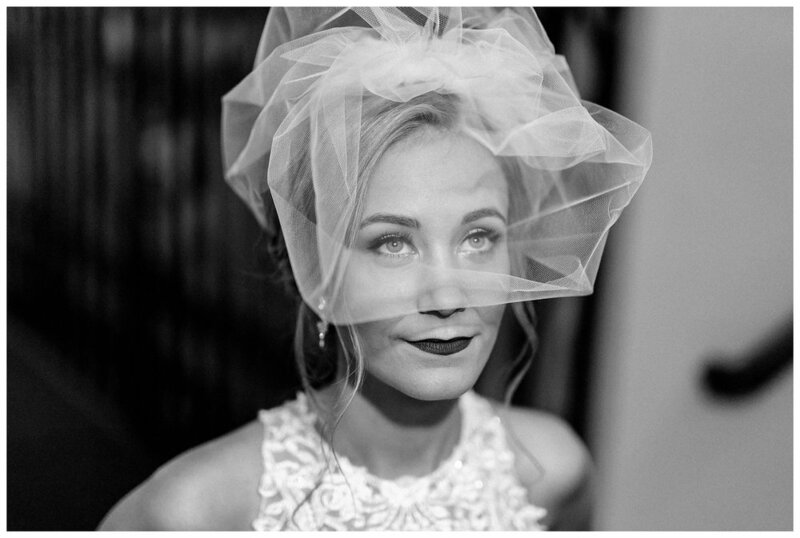 Steve was already misty-eyed as he waited for Jacie to come down the aisle, so when he finally laid eyes upon her you might say there was magic in the air and a few tears on his cheek. 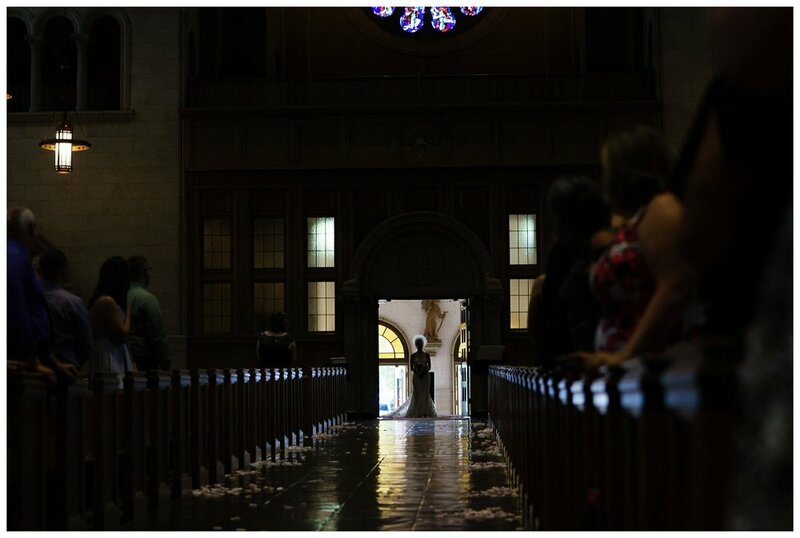 Post-ceremony the couple exited the church to a gust of bubbles blown by their loved one is the warm August air. 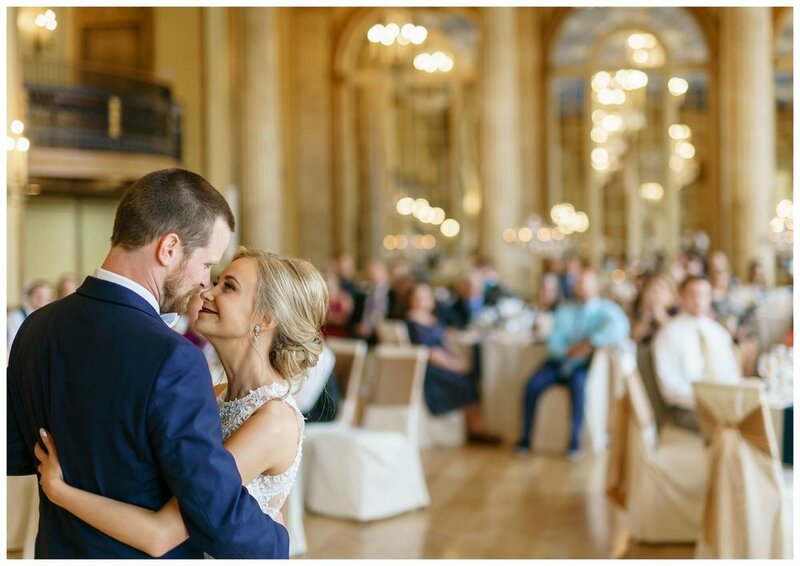 After the ceremony we took family photos, bridal party shots and a few portraits of the couple before we headed back to the hotel to shoot creative romantics in the stunning historic hotel lobby. [Fun fact: Ariana Grande was also staying at the Hotel Syracuse on the day of the Newton wedding!] Once again if you’ve never been, this hotel is beautiful; the lobby is pure gilded glory, and the ballroom features a massive mural of a blue cloud-dolloped sky, tall ceilings with mirrored walls, and views of the city skyline outside. 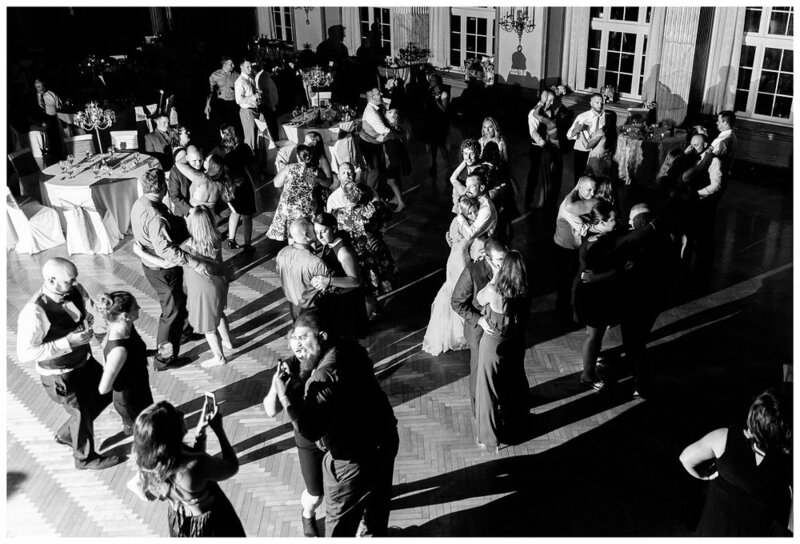 As the night wore on there were heartwarming speeches and toasts, a cake cutting, and of course lots of dancing long into the night. 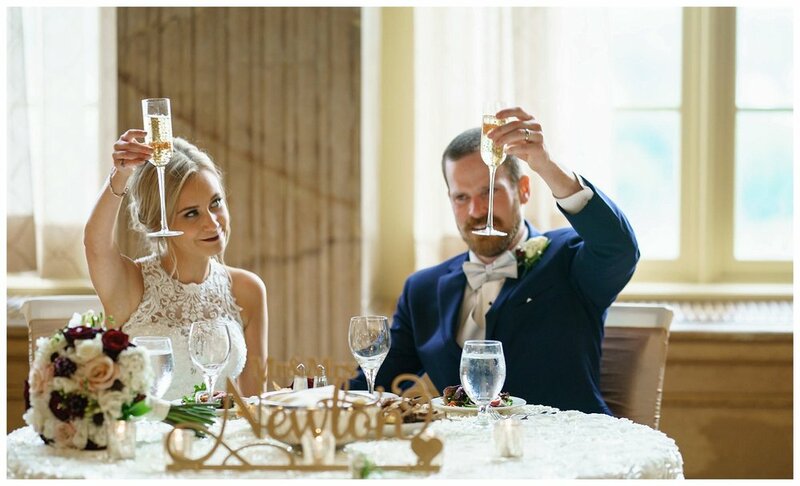 Thank you to Jacie and Steve for choosing Adam and I to tell your love story and document your incredibly special day; we wish you all of the happiness, joy, and unending love a marriage can possibly bring as you sail into your future bright and promised together.